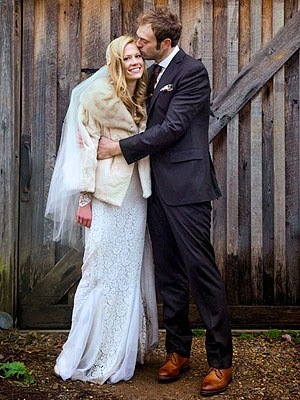 Musician Chris Thile of the Punch Brothers wed actress Claire Coffee (NBC’s Grimm) during an intimate ceremony on Dec. 23, according to People.com. The couple wed at Blackberry Farms, a resort in Walland, Tennessee. The ceremony included immediate family and grandparents of the couple, as well as Rob Moose of Bon Iver, who played violin before the couple said their vows. The resort is a popular spot for musicians, as both Kelly Clarkson and Ashley Monroe recently held their respective weddings at the same location. After performing an energy audit of Florida Georgia Line‘s first major headlining tour, JustGreen purchased carbon offsets to offset the carbon emissions. 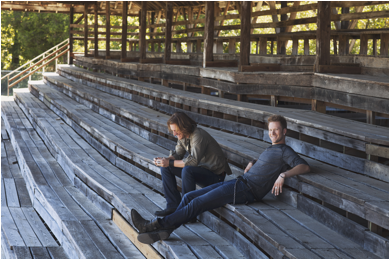 Florida Georgia Line’s sold-out Here’s To the Good Times 2013 Tour included 32 cities nationwide. This is part of the year-long commitment JustGreen made to offset the carbon footprint of 4,000 Live Nation concerts across the country. Additionally, Live Nation took part in a nationwide sweepstakes. FGL fan and sweepstakes winner Cassandra Estojak and a guest flew to West Palm Beach, Fla., to plant trees with FGL’s Brian Kelley and Tyler Hubbard before they took the stage at the Cruzan Amphitheatre. “We had a great time meeting our lucky winner, Cassandra in West Palm Beach, planting a tree and learning more about JustGreen and how we can help spread awareness of the cause to help our planet,” said FGL’s Hubbard. Pictured (L-R): Brett Eldredge with Paris, Ill. Mayor Craig Smith. Photo credit Cathy Drake Photography. 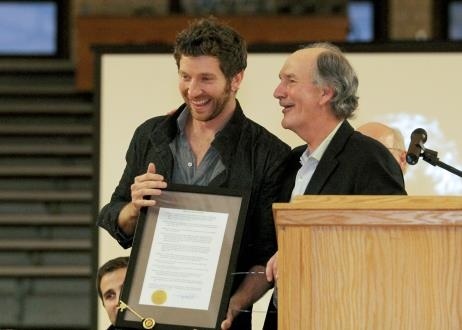 Atlantic Records artist and Paris, Ill., native, Brett Eldredge, was recently honored in a hometown ceremony at “Brett Eldredge Day.” Over 2,000 people, in a town with less than 10,000 residents, attended the event. The singer was recognized for his achievements in Country music. Eldredge received a proclamation from Illinois Governor Pat Quinn and was honored with new town signs reading “Home of Nashville Recording Artist Brett Eldredge.” His management also sponsored a fund drive for Compassionate Food International.